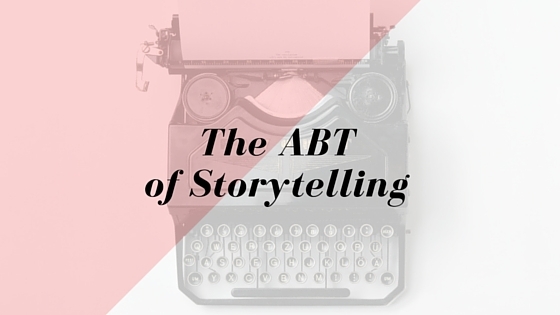 The other week I listened to a podcast called – The Business of Stories. This particular episode was Why Storytelling is Essential to Science with Randy Olson. What was particularly interesting was the analysis of the ABT formula. That is And, But Therefore and how Randy Olson came to this initialisation by understanding how the story writers for Southpark create their legendary storylines. This simple process certainly puts a new spark into an old story that you may have been working. It can be the trigger to capture the emotions that you wanted to show, by simply reviewing your writing and inserting the word “but” to replace the word “and” to create that beautiful completed story. Below is a link to the podcast, Randy Olson’s website, and the TEDx video. Dyan is passionate about helping entrepreneurs select, organise and take care of their diverse, accomplished and valuable experiences into a compelling, multi-platform, independently published book. In her work as Creative Director for ‘Words From Daddy’s Mouth’, she knows first-hand what it is like to pull the best bits of many and varied experiences into unique and passionate stories. As a country girl beginning life in rural Victoria and NSW, you can probably imagine the gorgeous surrounds, quirky people and outdoor adventures that dotted the landscape of her early years. A fascination with people and their vast potential followed her through a science degree in Brisbane, Australia, extending into two decades of banking and finance, travel adventures, family creation and business development. Beginning in the independent publishing industry can be daunting. Coming to understand the multiple facets of the publishing industry has been incredibly fascinating to Dyan. However, as a writer (and entrepreneur), these aspects can seem redundant (and boring) – and this can stop writers from achieving publication of a book. Dyan has always enjoyed collaborating to realise writer’s (and entrepreneur's) dreams. So whether you are interested in the technical aspects of publishing, or you simply want to write a book on your expertise, she can point you in the correct direction. Simply put – Getting it Done.